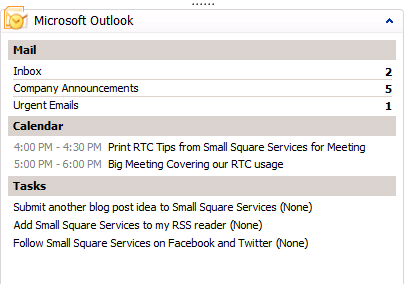 One neat option is being able to show RSS feeds you’ve created in Outlook (as outlined here). 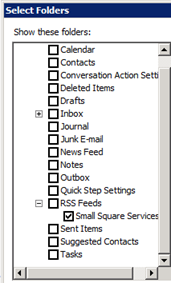 Make sure to include your Inbox folder, which only gets Auto-Added if your folder list is empty. This one is a little more robust, allowing you to see All Tasks vs Today’s Tasks, with some sorting options to help keep focused. It’s a small feature, but pretty handy. 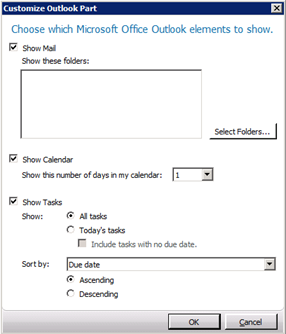 This will run even with Outlook closed, so you can close up Outlook and focus on NAV if you need, and every time you head to your Role Center’s Home, you’ll see if anything is piling up.